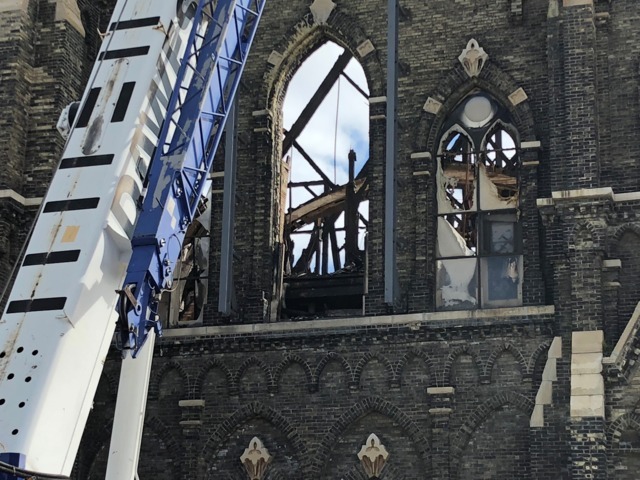 MILWAUKEE -- Signs of progress are appearing after a massive church fire in downtown Milwaukee. 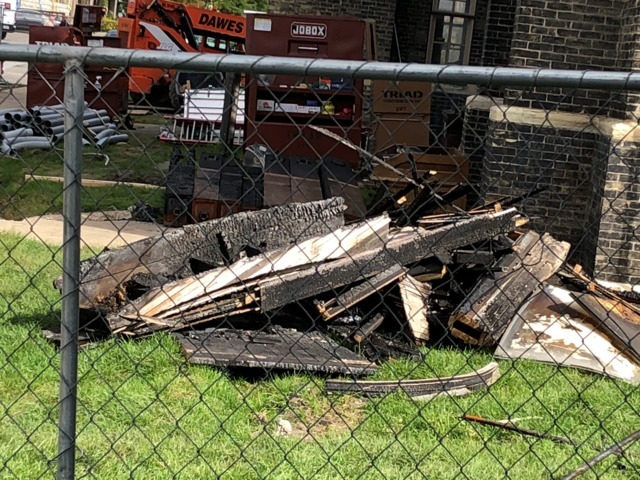 When Trinity Evangelical Lutheran Church burned down four months ago, parishioners told us they'd miss the historic organ most of all. Construction crews were finally able to remove it on Monday with a crane. Church leaders say recovered pieces of the organ are likely too charred to be reused in the church's next organ, however, the process allows the opportunity to replicate the organ down to the fine details. A tall crane reached down from above into what's left of Trinity Lutheran Monday morning to carefully grab pieces of an organ that brought parishioners to their feet for 140 years. "It's very encouraging, it's also very emotional too," said a parishioner named Michael. While it's a step toward the future of this church, it reminds Michael of the devastation the raging flames brought back in May. "It shows that the Lord is very much in charge," he said. "It's an exciting thing, we've waited and waited to see some progress," said church leader Christine Behnke. Behnke said this progress comes after months of stabilizing the balcony to start renovations. "We would like it to be as much of the original building as it could be and that's why we're being careful about what we're taking out," Behnke added. Parishioners want to rebuild in its same footprint and replicate what's ruined including the organ's keyboard, peddle board and metal pipes. As Behnke explains, the task isn't as simple as carrying items out the front door. "It's already in a fragile condition, it's going to crumble perhaps, so the crane was the best and the safest way to go about it," she said. It's a slow start to a long process of restoring one of Milwaukee's most historic structures. "We know it's going to be years, but just to see this happening is a big step," Behnke said. The next step in the renovations is to stabilize the sanctuary on the church's main level. The entire $17 million reconstruction project is expected to take five years.